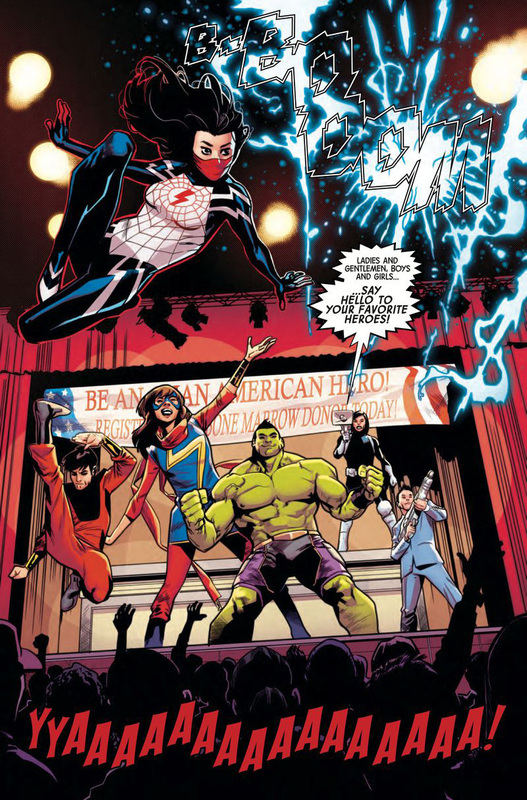 Marvel's Asian American superheroes team up... for karaoke? 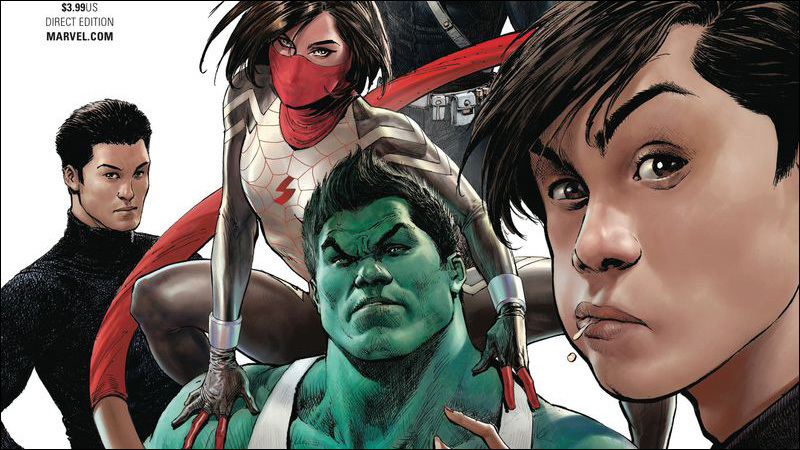 Totally Awesome Hulk #15 is Marvel's most unapologetically Asian American comic book issue of all time. This is a dire situation that needs the attention of Marvel Comics' greatest Asian American superheroes! 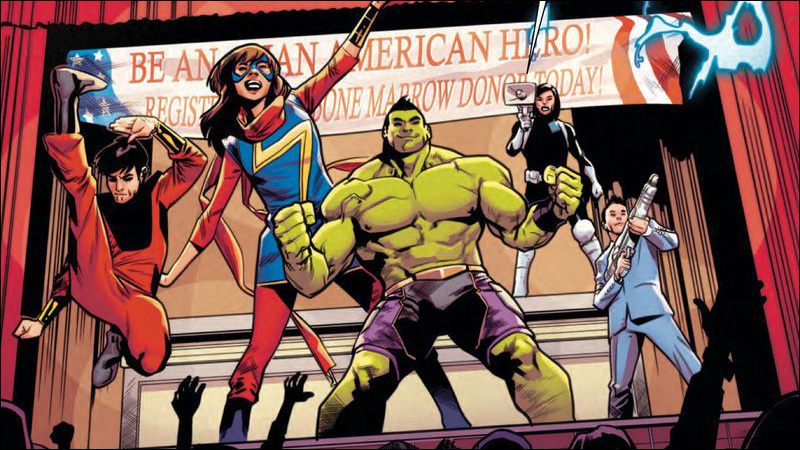 Amadeus Cho -- aka The Totally Awesome Hulk -- Ms. Marvel, Silk, Shang Chi, Jimmy Woo and Jake Oh have answered the call to action and assembled... at a bone marrow donor registration drive? 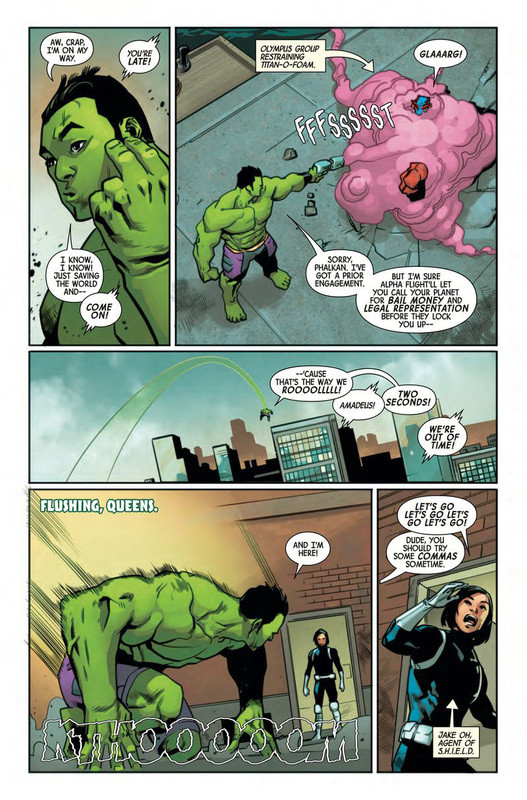 That's the opening scene of Totally Awesome Hulk #15, which is not only totally awesome, but quite possibly the most unapologetically Asian American issue of a comic book that Marvel Comics has ever published. Starting with that bone marrow donor drive. As you may know, ethnicity matters when searching for a life-saving bone marrow match, and unfortunately, Asian Americans are seriously underrepresented on the National Marrow Donor Registry. And now you know. You can thank writer Greg Pak for that. 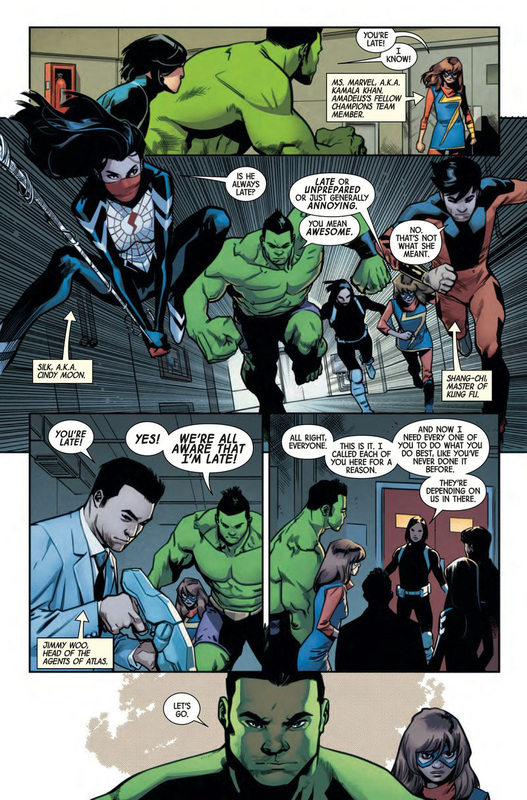 The Asian American superhero hijinks don't stop there. 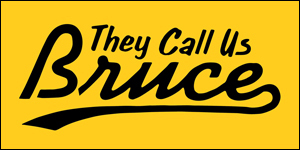 From the bone marrow donor drive in Queens, the action jumps to West 32nd, where our heroes engage in Korean barbecue, karaoke, and frank discussions about family expectations, stereotypes and more. You know, a typical night out with your superhero homies. Pak, who is also a filmmaker, told me that the team-up was inspired by his own karaoke-and-food-filled hangouts with fellow Asian American colleagues at film festivals and conventions. 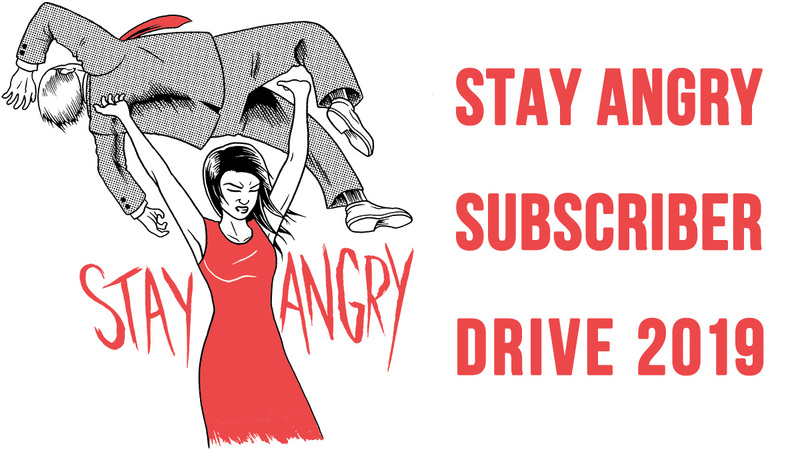 "I found myself thinking of all of the dinners and karaoke sessions I've had with fellow Asian American colleagues at various film festivals and conventions, and I thought, hey, Asian American superheroes would probably hang out like that every once in a while," Pak says. "What would they talk about? How would they bond -- or what kinds of conflicts would they discover? And how would that carry over into a big superhero adventure?" The result is this wonderfully effortless, funny and moving take on Asian American identity and community that the Marvel Universe has likely never seen before. Can this team-up become a regular series? 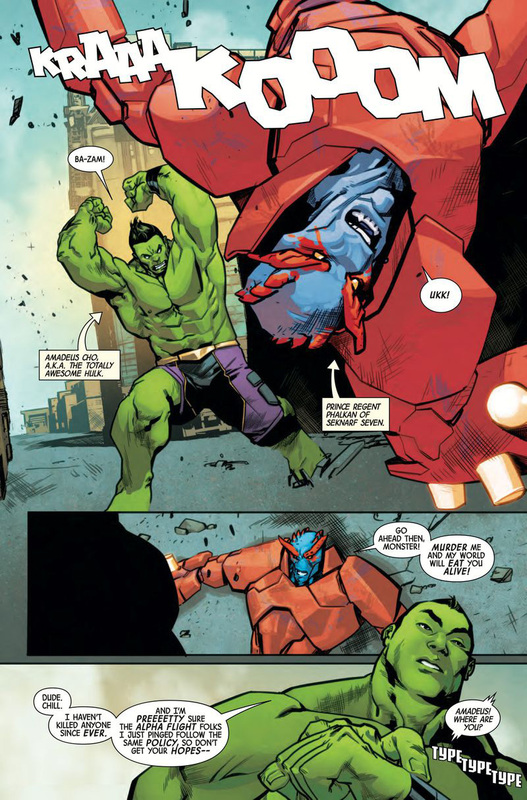 Totally Awesome Hulk #15 is now on shelves at your local comic book store. 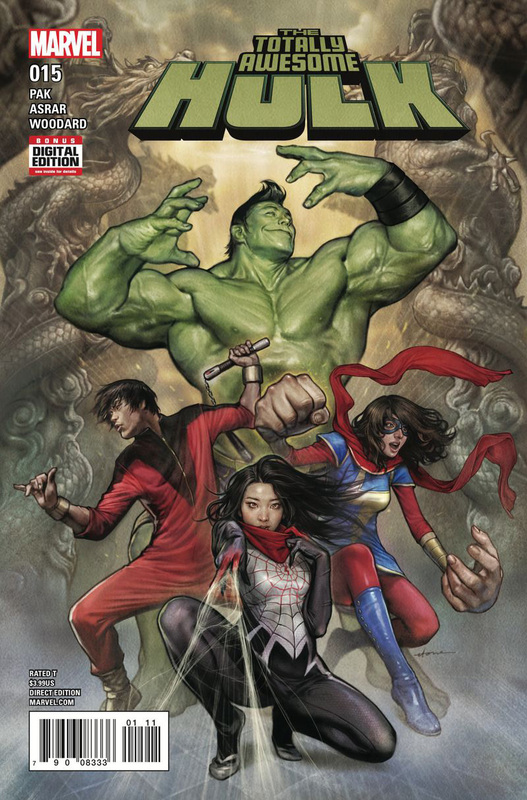 "Big Apple Showdown," aka the storyline with all the Asian American superheroes, runs through Totally Awesome Hulk #15-18, written by Greg Pak with interior art by Mahmud Asrar and colorist Nolan Woodard, and cover art by Stonehouse.